I love to layer my scent. I always buy soap/shower gel, lotion and spray cologne from the same line so the scent can linger and last throughout the day. My current fave is the one from Mustela Bébé line. With Mustela, I start with Mustela Hydra Bébé Body Lotion immediately after taking a shower and then spritz on some Mustela Bébé Skin Freshener. 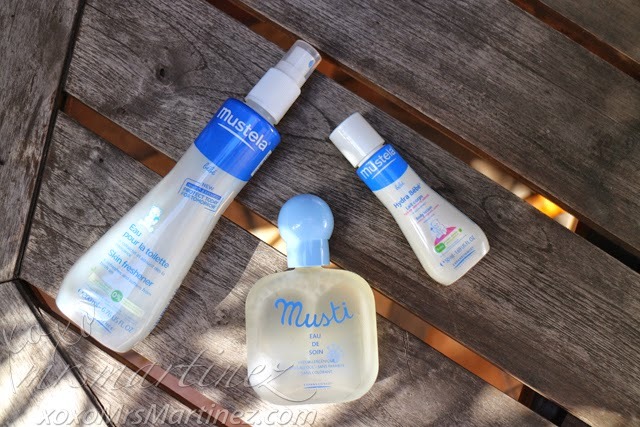 Since it is a baby line, I skip using Mustela Bébé Cleansing Milk. For best absorption, apply body lotion right after taking a shower. Pat your skin gently with a towel and apply your favorite lotion while your skin is slightly damp. Don't just spritz the anywhere, spritz where it counts like your wrist, back of your ears and even at the back of your knees. These are pulse points that guarantees you lasting fragrance all day. Did you know that Skin Freshener is ideal for rinsing Mustela Bébé Cleansing Milk on your baby? Another use is to delicately scent your little one head and scalp. It can also be used to detangle your baby's hair. Ever wonder why some women smells so good even when their backs are turned? Try spraying your favorite perfume onto the ends of your hair. 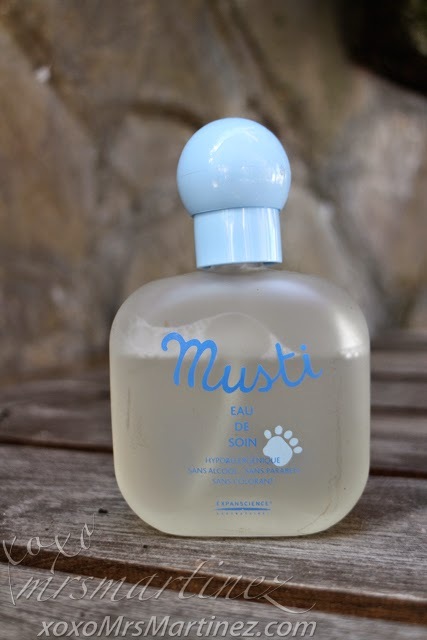 I like spraying Musti Eau De Soin at night. This alcohol-free fragrance made from cornflower and lime extracts emits a soothing and calming effect. 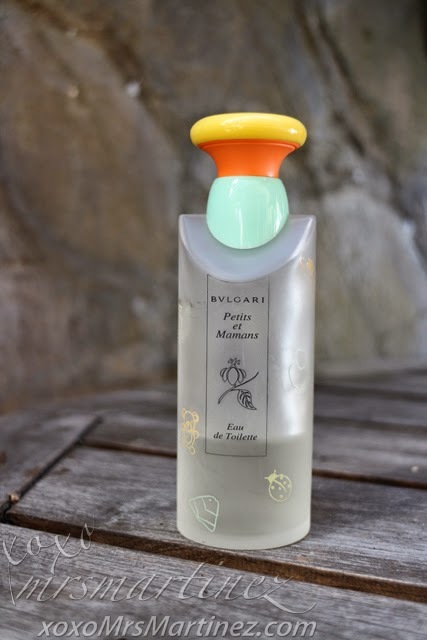 Another baby fragrance that I like is Bulgari Petits et Mamans. It smells like a baby powder with a hint of vanilla. It is made for children so like Mustela Bébé Skin Freshener and Musti Eau De Soin, this is also alcohol-free. It's almost empty, I think it's time to buy another bottle ; ) What baby cologne do you use? Kindly share in the comment section below.